As an aging genetic Republican and an individual of distinct conservative values, I am reluctant to admit that I have come to admire others of different persuasions, especially in a political context. Debbie Peterson is a Democrat, a feminist liberal, an endorser of progressive instincts – but, I must admit, one steady in common sense, having an astute regard for doing the “right thing” in her position as a public servant. Despite my admitted bigotry, I have come to regard her highly – and for a very good reason. I mean this as a message specifically for the major partitions of District 3 comprising the City of San Luis Obispo and Avila Beach. The reason: In early 2014, I wrote concerning the political environment in the south SLO County that included Grover Beach when Debbie Peterson was mayor. I met with her to discuss my concerns. A that time, the area’s political fabric was strongly influenced by the omnipresence and strong personality of Tony Ferrara. He was then a “Caesar” in his own time. His political strength constituted a substantial political establishment with collegial and close social relationships such as his governmental/business dealings with John Wallace. Ferrara, therefore, was the father of the area’s political establishment, reaching beyond the geographically small village of Arroyo Grande to regional considerations including the now documented financial fiasco while being on the board of the South San Luis Obispo County Sanitation District. There was at the time no real accountability to pin the rose on the reasons for the financial fiasco at the sanitation district as suggested by Peterson. In my meeting with her, we discussed my experience in considering cases and circumstances where fraud occurred in business and government. She admitted that she was very concerned and suspicious about the use of funds at the district, a matter where she came to be severely criticized by numerous individuals defending the financial practices there. She asked specifically what did I believe regarding the mishandling of finances at the district, considering the overwhelming political situation. I answered, “I did not know” – not that I could deny my own suspicions that such intrigues existed. Debbie Peterson pointed her finger at the obvious problem now revealed that there was something wrong – and she paid a heavy political price for her astute and honest assessment. I believe it contributed to her losing her job as mayor of Grover Beach. We now are experiencing a political emergence of a rebellion against the political establishment as evidenced by the emergence of Sanders and Trump in their political parties. In a sense, the traditional political ideological partitions are being subordinated to issues that appeals to common sense. As this manifestation of the body political applies, as a Republican, I support the political aspirations of a Democrat, Debbie Peterson. For, she exemplifies where political ideology bows to doing the right thing. Please, citizens of the District 3 – take notice. That appears to not being an attribute of the present incumbent who is purchased by and yields to documented interests. 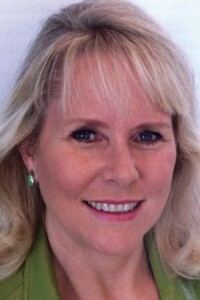 Most respectfully, thinkiwill, please respect the fact that, as you state, “Debbie’s loss to Shoals shows she is vulnerable and does not have enough support even in Grover Beach” dismisses the fact that her loss to Shoals was cast in the controversy and courage of her prosecution of the South Sanitation District issue. Debbie lost her job because of her stand on the facts of the matter – now before SLO’s District Attorney. Where you are correct is here we have two outstanding individuals in Dan and Debbie contending to succeed Hill . Debbie’s record is distinguished by the extraordinary act she put her job and reputation on the line, a rare event in my long experience observing politicians and in business. Would you expect her to relent now in favor of Dan considering who and what she is? Forgive me in acknowledging her special qualities while acknowledging a respect for Dan. I do admit that it will be unfortunate if this division allows Hill to continue in office. I suggest that the issue should not be framed as to the contention allowing Hill’s reelection but who is best qualified to be elected.